The Michigan Department of Natural Resources recently completed an emergency dredging project in Keweenaw County to restore the Grand Traverse Harbor channel for commercial and recreational boating. The $246,230 dredging project, undertaken by Marine Tech, LLC of Duluth, Minnesota, through the DNR’s Parks and Recreation Division, pumped 9,000 cubic yards of sand to a beach area north of the harbor. Previous dredging at the harbor was done by the DNR in 2015 and the U.S. Army Corps of Engineers in 2009 and 2003. 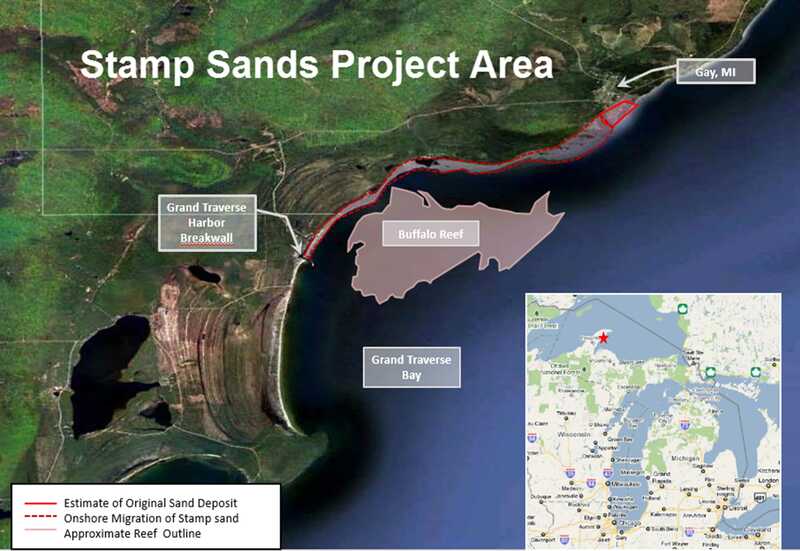 Meanwhile, more extensive sand removal and containment efforts are needed to protect important lake trout and whitefish spawning habitat on Buffalo Reef and a juvenile whitefish area south of the Grand Traverse Harbor, which is situated on the east side of the Keweenaw Peninsula, northeast of Lake Linden. Read rest of article.